Being a pogonophile isn’t resigned to just the ladies anymore! Those who are considered to be a pogonophile simply love everything about beards, whether that means growing one or cuddling up with a guy who has one if the shoe fits you have to wear it. Many people who fall into this category are not sure they have the bug, they may think it is just a passing fancy or something they think will go the way of bell-bottom jeans. Unlike the bell-bottom jeans that come in and out of fashion every other decade, the love of beards seems to be growing steadily each year. That’s why we have created this beard vs non-beard article with an infographic to let you compare all the pros and cons of having a beard. There you are at a crowded party, everyone seems to be having fun conversing with one another. You have had your share of fun and flirty conversations, but nothing has really rocked your world yet. Then it happens, that bearded wonder strolls to the center of the room and every able-bodied female in a 100 foot radius just went on high alert. Now when you talk to people, you can only hear muffled tones as his beard is like the beacon on a lighthouse, calling you to go talk with him. Regardless of his relationship status or yours, you can not resist the idea of getting up close and personal and listening to him talk. For guys growing a beard, it really is a labor of love. Most guys are not up to the task and simply begin shaving at the first signs of discomfort. For the pogonophile, this is more than a labor of love, it is an all-consuming passion that takes over his everyday life. 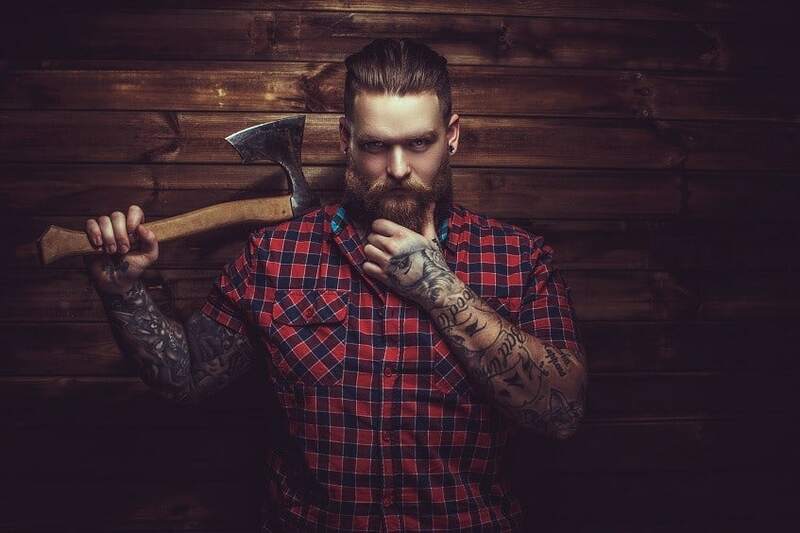 This guy wakes up in the morning and cares for his beard, he takes breaks at work to clean out any food trapped in the facial hair, and he makes sure that his beard is ready for a night out on the town slaying all those ladies. His beard isn’t just facial hair. His beard speaks about his personality, it’s his friend and his wing-man. One of the ways you can tell if you are a pogonophile is how you feel about your man’s beard. If you find that you spend more time online shopping for his beard oil, beard wax, beard balm and beard shampoo, then you have what it takes to join this elusive club. When the hair on your man’s face gets you all warm inside, when you dream of snuggling on the couch so his beard can rub you the right way, and you often find your fingers lost in his facial hair, it is time to admit to yourself that you can no longer control the fact you are a pogonophile at heart. Take a good look at your choice of music in the home or car. Do you find that you are gravitating towards Axel Rose, Jerry Garcia and ZZ Top? Perhaps your fascination is with the beards on these talented musicians and not so much their music after all. Have you recently undergone a transformation to Country music and not sure what is happening to your taste in music. Perhaps it has nothing to do with age and it is more about you falling for those guys with the dark stubble, long beards, cowboy hats and chiseled abs. Take a closer look at the covers of all those CDs you play on a loop in your car, you might discover that they all have one thing in common after all, guys with beards rocking their instruments and hitting all the right notes with you. The days of going to play golf with friends or taking in a football game are replaced by watching lumberjack competitions or strong men championships. You would rather stare at guys with thick, gnarly, wild beards chopping down trees or lifting 1000 pounds over their head than take in a local sporting event. If you notice that all the sporting events you are starting to watch have guys with no helmets and long beards, you might want to clear a spot on your mantle for your pogonophile trophy because you are definitely part of the club now. When soccer, rugby, and weight lifting replaces football, golf, and swimming, you got the bug. If you find that November is your favorite month of the year because most guys are not shaving for the cause, just admit it, you are obsessed with everything beard related. The definition of insanity is doing the same thing again and again expecting a different result. When it comes to beards however, there has to be an exception here to the rule. Have you found yourself at the local hardware store buying things you will never use in your lifetime only because the guy working the counter has a studly man beard? If you are driving to the store again and again and again, hoping one day this bearded wonder will rip off his shirt, carry you to his pick-up truck and drive away with you to his log cabin in the mountains, you are in the higher class of pogonophile. Your desire for the good looking beard has consumed you to the point you have lost control of all rational thinking. With blockbuster movies costing millions to produce and ticket prices on the rise, are you spending more time watching certain movies again and again? When your selections in movies and television shows revolve around Matthew McConaughey, Ryan Gosling and Brad Pitt, it might be time to look at the men and their beards and not so much the subject matter. When you find yourself watching more romantic shows on the Hallmark Channel with shirtless actors who have beards and a sculpted frame, you are no longer able to think with the working part of your brain. Your subconscious is focused on the power of the beard, and who can blame you. If you are simply too weak in the knees to change your position, then continue to bow down to the awesomeness of the beard and enjoy the show. 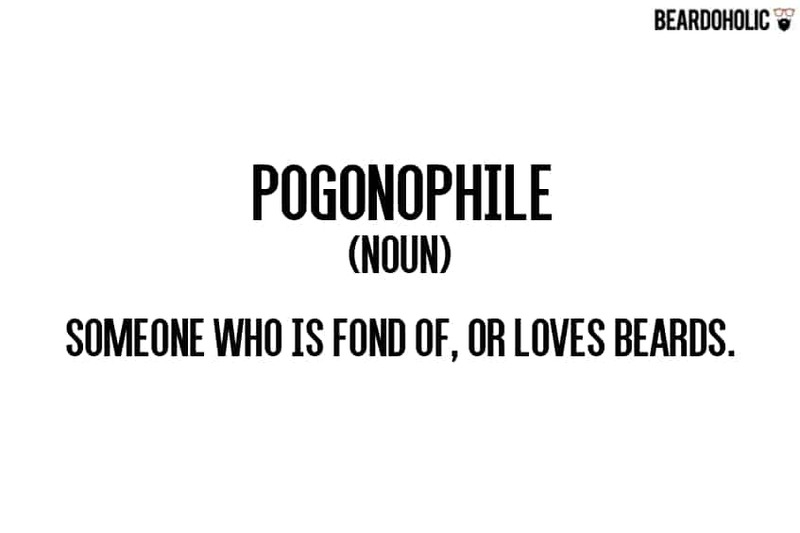 There you have it, seven sure signs that you are a pogonophile. Notice we did not offer you any advice on how to change your ways. This is one ailment that your doctor can not cure, it simply calls for more of the same, so sit back, grab a drink, and allow your mind to wander to places where you lose yourself in his flowing man beard. Photos: Vladimirs Poplavskis © 123RF.com, Gleb TV © 123RF.com and Dean Drobot © 123RF.com.